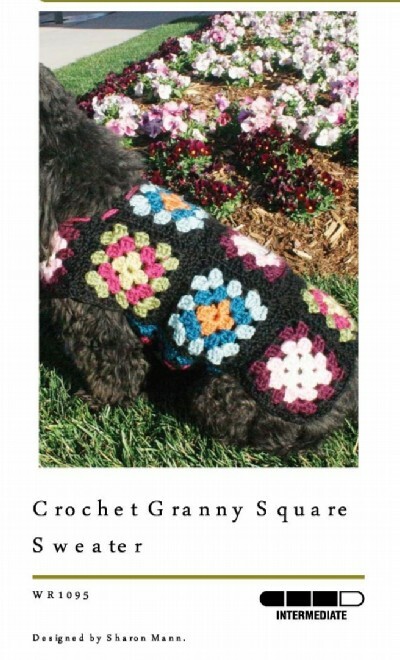 This basic granny square pattern is turned into a warm and colorful crochet dog sweater. This sweater is made up with nothing more than using the basic crochet square and is just perfect for using up that left over yarn. There are so many things you can make with the basic granny square pattern and this this little dog crochet sweaters is another great example of what you can do when you learn to crochet a simple little square. 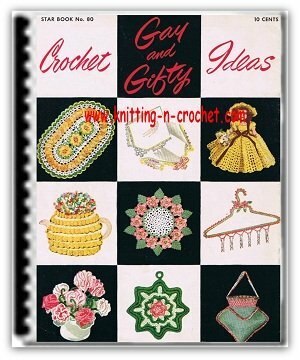 You can learn how to make a basic granny square pattern with step by step crochet granny square directions on the page. Also included pictures to help explain the process. Directions are for size small; changes for medium and large are in parentheses. Crochet Hook:5mm [US H-8]. Yarn needle; one 3/4"button. GAUGE: Square = 4.5"x 4.5". CHECK YOUR GAUGE. Use any size hook to obtain the gauge. To Fit Chest: 19 (23,28)". To Fit Neck: 16 (18,20)". To Fit Length: 10 (12,16)". 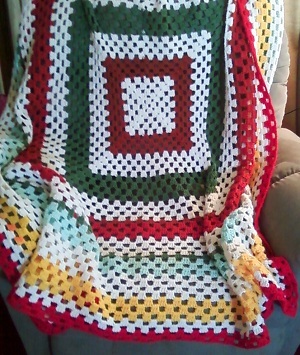 BASIC GRANNY SQUARE PATTERN (See color sequence below): Ch 6; join with a sl st to form a ring. Rnd 1: Ch 5 (counts as dc, ch 2), [3 dc in ring, ch 2] 3 times, 2 dc in ring; join with a sl st in 3rd ch of ch-5. Fasten off. Rnd 2: Join yarn in any ch-2 sp; ch 5,3 dc in same sp, [ch 1, (3 dc, ch 2,3 dc) all in next sp] 3 times, ch 1,2 dc in beg sp; join. Fasten off. Rnd 3: Join yarn in any ch-2 sp; ch 5,3 dc in same sp, * ch 1,3 dc in next ch-1 sp, ch 1 **, (3 dc, ch 2,3 dc)all in corner ch-2 sp; rep from * around, end at"; 2 dc in beg sp; join. Fasten off. Rnd 4: Join yarn in any ch-2 sp; ch 5,3 dc in same sp,* [ch 1,3 dc in next sp] twice, ch 1 **, (3 dc, ch 2,3 dc) all in corner ch-2 sp; rep from * around, end at"; 2 dc in beg sp; join Fasten off. Make 2 (3, 4) squares in the following color sequence: Rnd 1: CB; Rnd 2: CC; Rnd 3: CD; Rnd 4: CA. Make 2 (3, 4) squares in the following color sequence: Rnd 1: CE; Rnd 2: CF; Rnd 3: CG; Rnd 4: CA. Make 2 (3, 4) squares in the following color sequence: Rnd 1: CH; Rnd 2: CI; Rnd 3: CJ ; Rnd 4: CA. BODY: Sew 6 (9, 12) squares together. Weave in ends. Neck: Sew one square on each side of body. Make a chain 20 (25, 30)" long and weave in and out of granny squares for neck closure. 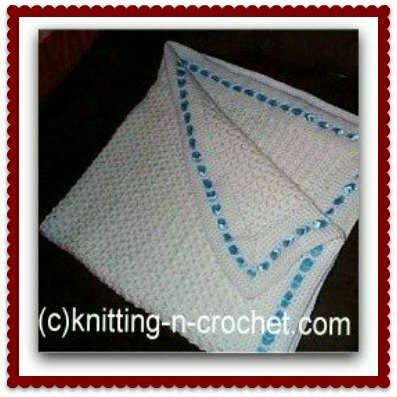 CHEST PANEL-Size Small: Make 1 square in colors of your choice. Row 5: Join yarn in any corner sp; ch 3,2 dc in same sp, [ch 1,3 dc in ch-1 sp] 3 times, ch 1,3 dc in next corner sp. Fasten off. Weave in ends. CHEST PANEL-Sizes Medium and Large: Make 1 square in colors of your choice. Rnd 5: Join yarn in any ch-2 sp; ch 5,3 dc in same sp, [ch 1,3 dc in next sp) 3 times, ch 1 **, (3 dc, ch 2,3 dc) all in next corner sp; rep from * around, end at"; 2 dc in beg sp; join. Fasten off. Rnd 6: Join yarn in any ch-2 sp; ch 5,3 dc in same sp, [ch 1,3 dc in next sp) 4 times, ch 1 **, (3 dc, ch 2,3 dc) all in next corner sp; rep from * around, end at"; 2 dc in beg sp; join. Fasten off. [ch 1,3 dc in ch-1 sp] 5 times, ch 1,3 dc in next corner sp. Fasten off. Weave in ends. FINISHING: Sew the chest panel to both sides of the body. Sew on one button at the neck for closure, using a ch-1 sp as the buttonhole. Weave in ends. ABBREVIATIONS: beg = beginning; CA, CB, etc = Color A, Color B, etc; ch = chain; dc = double crochet; mm = millimeters; rep = repeat; rnd = round; sl = slip; sp(s ) = space(s); st(s) = stitch (es);  = work directions in brackets the number of times specified; * or * * = re p e a t w ha to v e r follows the * or" as indicated.